2019: 5 races 70000 metres completed. 2018: 5 races 80000 metres completed. 2017: 2 races 30000 metres completed. 2016: 6 races 66092 metres completed. 2015: 6 races 105000 metres completed. 2014: 4 races 55000 metres completed. 2013: 7 races 76000 metres completed. 2012: 12 races 119090 metres completed. 2011: 11 races 72000 metres completed. 2010: 11 races 56500 metres completed. 2009: 23 races 137500 metres completed. 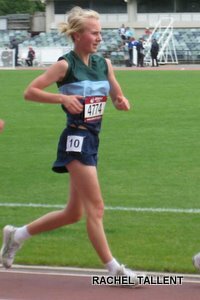 2008: 1 race 10000 metres completed.